The Monkey Surfing Backpackers Hostel boasts a friendly and chilled ambiance for travelers to wind down at the end of the day. with a slow-paced and relaxed atmosphere for everyone. Cozy lounge, comfy beds, clean pillowcases and bed linens, daily housekeeping, and of course, the best service, is provided. 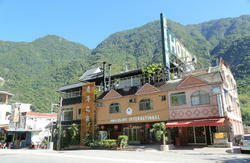 Welcome to Hualien, a beautiful place surrounded by the Pacific Ocean and the grand Central Mountain Range. Famous for its picturesque scenery and the wide array of natural resources, Hualien is home to the popular Taroko and Yushan National Park, East Rift Valley and East Coast National Scenic Area. With the towering mountains, amazing rock formations that lined the East Coast and a vast cultural diversity, Hualien has become a top choice destination for both locals and international tourists. one can expect a good night of sleep while enjoy the convenience and liveliness of the city. We are also strategically located close to the bar area which is a 2-min walk away. There are also massage parlors, basketball courts, convenience stores and eateries specializing in both local and foreign cuisines. It takes approx. 5 min to walk downtown; train station is a 10-15 min walk away. Our beds are sturdy with wooden bed frames instead of metal and we use mattresses of fine quality. 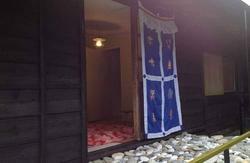 Every room is spacious and has a private bathroom equipped with strong shower jets (hot water 24hrs). The spacious common area is for everyone to chill and exchange stories. 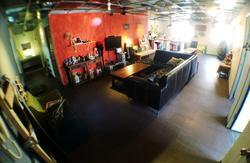 Find out about more options for cozy accommodation in Hualien City, visit our other hostel: The Island Bali Hostel. Right is Jeng Yi St.(???). Take the middle one aka Jin Feng(Fong) St.(???) for about 10 meters... Here we are : ) walk just 2 min! very very easy! Then turn right. Keep walking straight; you will pass Shang-Shiau St.(???) and Ming-Shin St.(???). Then you find Jin-Feng(Fong) St. The Cool Hostel's here !! It only takes about 15 min from Hualien Train Station to walk to us...very easy ! Feel free to check and download the map before you come.